It’s a two ply yarn. One of the singles has Tuscany’s lovely white fiber as a base, with just a touch of blue that I added as I spun. The other single is the same, only the base is Brittany’s strong black fiber. It was designed by the person who ordered it in August. Well, some time passed. Months, actually. Then, a few weeks before Christmas, we were able to deliver the finished product. 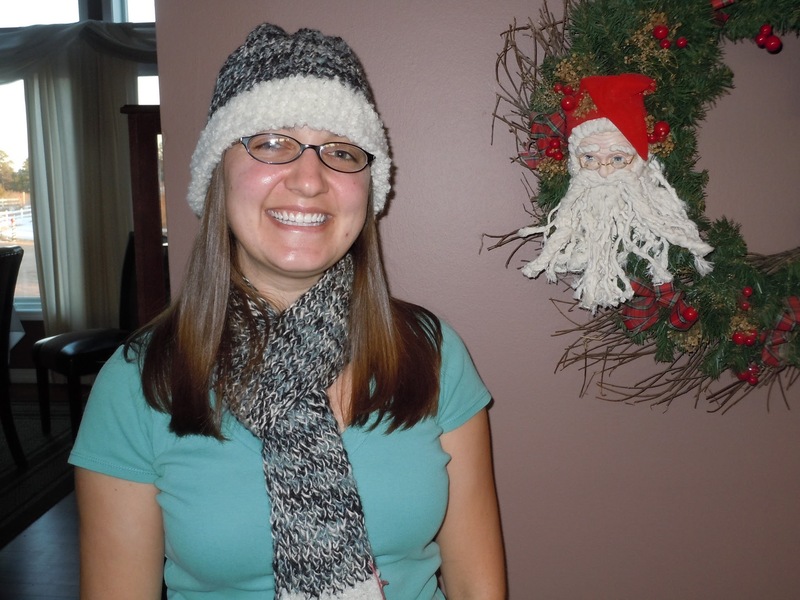 Mom knit both the hat and scarf, using my handspun and white baby alpaca boucle yarn. 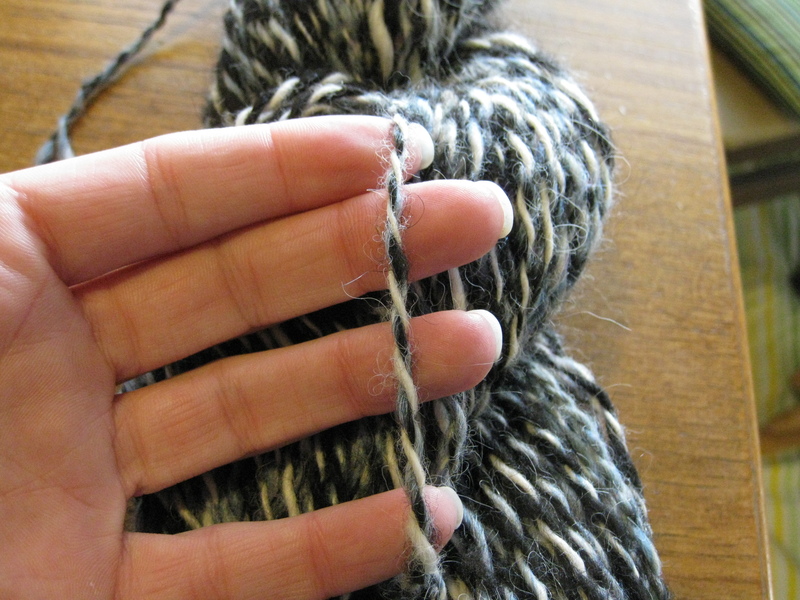 The white yarn has little curls and is soft, soft, soft. It brings out the white in the handspun, and keeps the whole ensemble from being too dark. So, thanks Patty! You are rocking that look! Next time, you just need to be more insistent, and we’ll get it done faster. This entry was posted in fiber art and tagged art yarn, baby alpaca, boucle, boucle yarn, finished product, hand spinning, handspun, handspun yarn, hat, knit, knitting, scarf, yarn. Bookmark the permalink. It was fun to make, since it was so personal to us. I’m just glad we got them done while it was still winter!